When remodeling your bathroom. 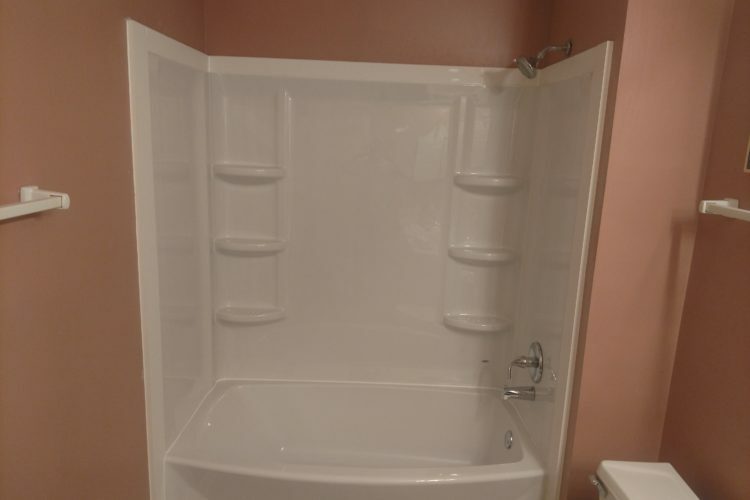 Tub replacement is not something you think you will need to do. And in most cases you wouldn’t. 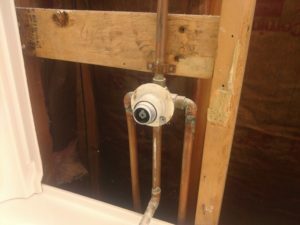 Tub Replacement can be a costly thing to do just because of how hard it is to get a Tub out and a new one back in. 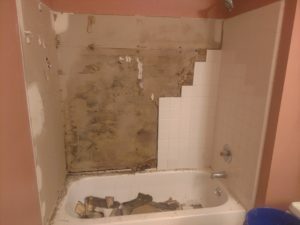 The main reason for the difficulty is that tubs are installed during the construction of your home. Before doors and drywall are even installed. And sometimes there are extra framing materials installed after its set. You have to know how to get all these components out of the way including the old tub making room for the new Tub Replacement. As you can see in the below picture. That the wall tile grout was failing allowing water to get behind the tile onto the Sheetrock which was not a blue board or Hardie Plank material. I am not sure how the builder got by with this? We removed all this material down to the studs. Along with removing all the tile and drywall. The insulation was also damaged/wet. We replaced that as well. So as you see here. This is where we start for our Tub Replacement. We are pretty much set for the Tub Replacement. But the homeowner wanted to change out the valve assembly as well. Once that was changed out we could set the tub. We made all the needed plumbing connections . The wall kit was pretty strait forward and went in without any major alterations. This unit is screwed down to the studs and there is no backer board installed. The New Tub replacement was also secured to the studs. By the way, You can look at what your local Lowes has in tub and wall kits here. 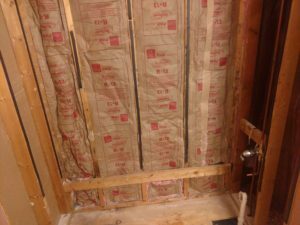 Tub Replacement and wall kits. Wall panels are made of different types of materials. Some are better than others. This was somewhat a lighter thinner material. This product will last as long as its taken care of. Tub Replacement and wall kit. If you would like to have a New tub and wall kit installed? 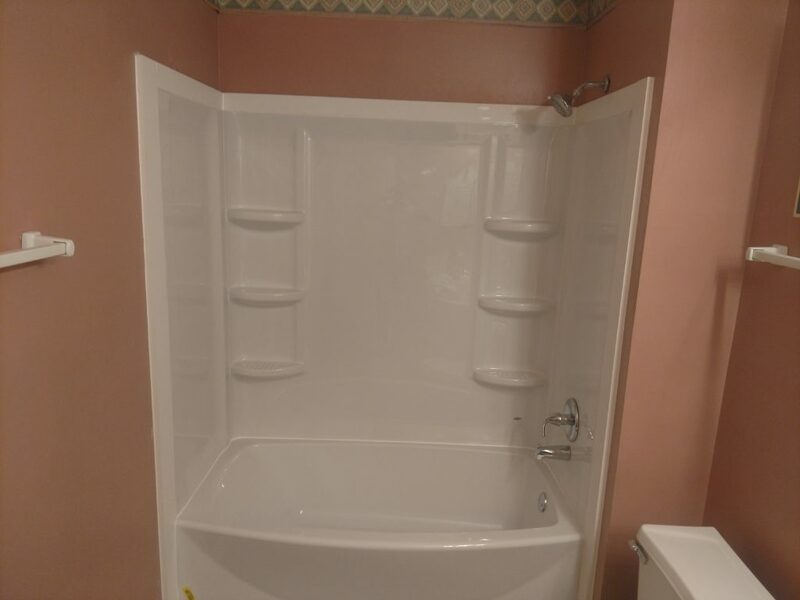 Give us a call today for your tub replacement.